It has long been the policy of the US government that a nuclear-armed Iran would be unacceptable. Yet, whether the conventional and nontraditional means of US and Western policy can secure the end of keeping Tehran from fulfilling its longtime nuclear ambition is far from clear. While it is possible military action will deprive Iran of its nuclear option, that the current regime in the Islamic Republic will be overthrown, or that sanctions will bring the regime to the table with meaningful concessions, there is also every possibility that none of these scenarios will come to pass. Moreover, if there is a rising consensus that sanctions ultimately will fail, there is an equally strong belief among the foreign-policy establishment in Washington and other Western capitals that preemptive military action is unappealing, leading many to suggest that containing a nuclear Iran is a reasonable option. 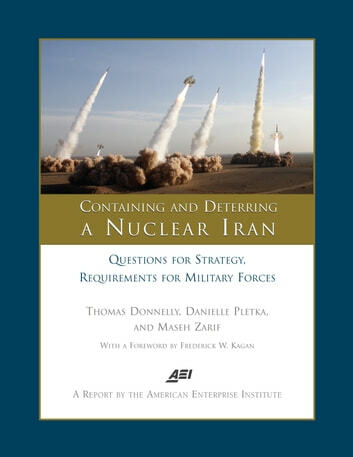 Should Iran acquire nuclear weapons, all the tools used heretofore will remain on the table, but there will be a new layer of strategic challenges and constraints—not simply the day after but also well into the future. Containment is hardly a cost-free policy, but aside from a small handful of policy sketches, little thought has gone into what an effective containment and deterrent regime will require of the United States and its allies. The public discussion of containing a nuclear Iran has been conducted in a haze of good feeling about the successes of the Cold War, but containing the Soviet Union was hardly simple. The successes of the Cold War policy certainly provide a framework for thinking about the difficulties of a nuclear Iran, even allowing for the unique circumstances of the two situations and the different and unique ideologies embraced by both adversaries. A deeper examination of the original Cold War policy choices is necessary.